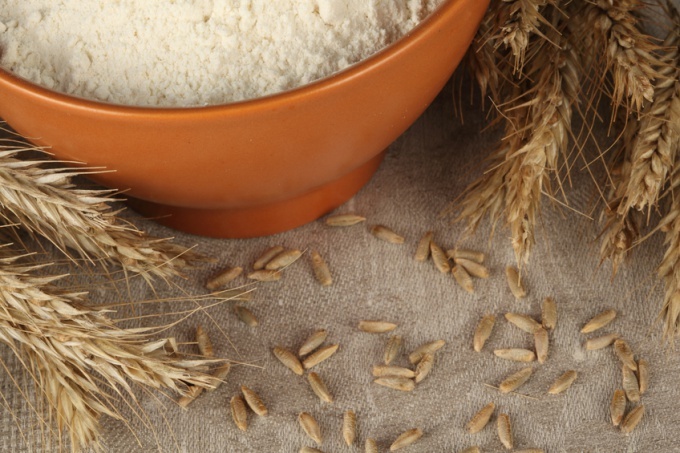 The benefits of wheat cereal due to the high content of natural fiber, minerals and vitamins. Due to high content of vegetable protein it is a wonderful source of energy. If you eat wheat cereal regularly, you can establish the digestion and improve fat metabolism. In addition, this porridge is perfect for those who want to lose weight – one serving contains a little more than 300 calories. Choose a cereal for making porridge. If you want to be truly valuable, rich in all nutrients cereal, then stop your choice on the product, the least subjected to any treatment. It will be cereal with partially removed seed shells, light brown color, oblong shape with slightly pointed tips. It contains the greatest amount of useful fiber, which acts on the body as a "brush". The stores meet wheat flakes for quick cooking. Their purchase should be abandoned. Many of the nutrients inherent in the right to normal wheat grits, cereals are lost in the pretreatment process. Select dishes in which to prepare wheat porridge. Is cast iron or cookware with Teflon coating. In it, the mess just will not burn. Rump sort, remove impurities. Rinse in cold water. Wheat cereal can be binding or loose. If you want to cook crumbly porridge, 2 cups of water take 1 Cup of grits. Bring the water to a boil, gently stir in sunflower and cereals. Cook over a slow fire for about an hour. Or, if the same proportions, cook grits at a medium boil for 10 minutes, then move to a bowl of porridge in the oven and leave it to simmer until cooked at a minimum temperature. It will take about an hour. Oil when cooking crumbly porridge paste at the beginning. When cooking a viscous porridge of water should be taken in the ratio 1:5. Pour grits in boiling, lightly salted water and simmer for 20-30 minutes. Wheat porridge can be served as a main dish for Breakfast. In this case, you can add milk or cream, honey, nuts and dried fruits. If you plan to porridge as a side dish to meat dishes, the water can replace the meat broth. Adding this wheat porridge boiled onions and root vegetables, mushrooms or meat, you will get an independent second dish.